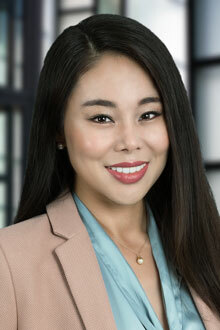 Soo Jin Isicoff is an associate in the Fort Lauderdale office of Lewis Brisbois and a member of the Corporate Practice. Ms. Isicoff has experience handling several high profile securities fraud cases involving EB-5 and real estate development investments both in state and federal courts. Prior to joining Lewis Brisbois, Ms. Isicoff practiced and interned with some of Miami’s premier business litigation firms, where she represented international investors and business owners in complex business disputes, including claims brought pursuant to Florida's RICO Statute against a prominent South Florida real estate developer. Ms. Isicoff also participated in the defense of a major financial institution in a large-scale investment fraud class action. While attending University of Miami School of Law, Ms. Isicoff served as a judicial intern for the Chief Bankruptcy Judge of the Southern District of Florida. She also served as a judicial intern for United States Magistrate Judge Patrick A. White. Ms. Isicoff was selected as a committee member of the 2017 Women to Watch/Rising Leaders of the Dade County Bar Association and is fluent in Korean.